Ever since word dropped almost two years ago that Grown-ish was gonna be a thing, people started referring to it as the A Different World for a new generation. And while there are some legit differences between the two shows — namely, that ADW took place at an HBCU and Grown-ish does not — you can’t help but see the influence the throwback show has on the new one. Today, that was made even clearer when Grown-ish dropped its latest teaser for season two, which premiers January 2 on FreeForm. 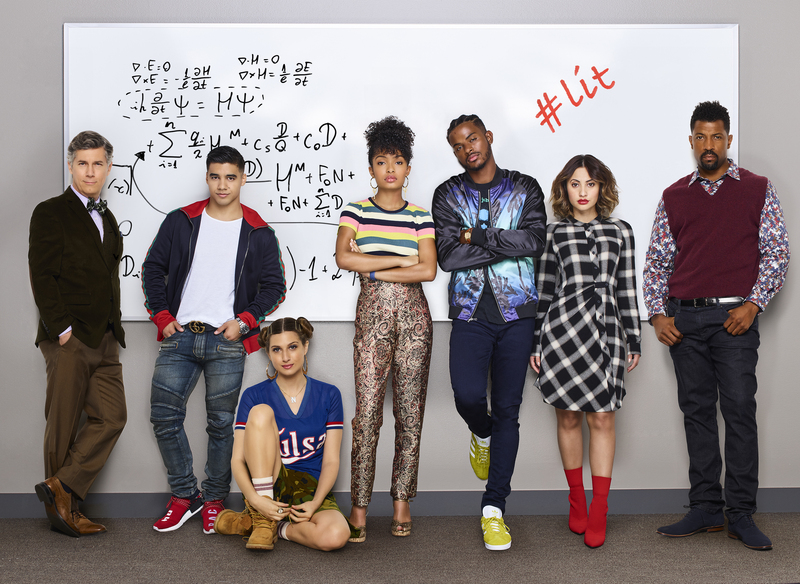 A perfect homage to A Different World‘s most popular intro (which kicked off its season two, too, and also used a slightly more turnt up version of its original theme song), this promo has the cast of Grown-ish reenacting the exact scenes of its predecessor — with a few necessary updates, obvi. For example, instead of taking out rollers in her hair, Zoey is fluffing her ‘fro. Where Jalessa can be seen stressing out amid a stack of books in the original version, Luca is putting the finishing touches on a fashion design.